During a recent interaction, Bollywood stars Shah Rukh Khan and Manoj Bajpayee reminisced about their early days as theatre artists. The camaraderie between the two was on display for all to see at a recent promotional event for Bajpai's upcoming film, Traffic. "Shah Rukh is a very old friend of mine, a childhood friend, and when he comes to meet me, that is also during the promotions of Traffic. I feel that our director Rajesh Pillai, who passed away recently... it's his blessing that such good things are happening. I thank Shah Rukh for coming during the promotion of Traffic," said Manoj. 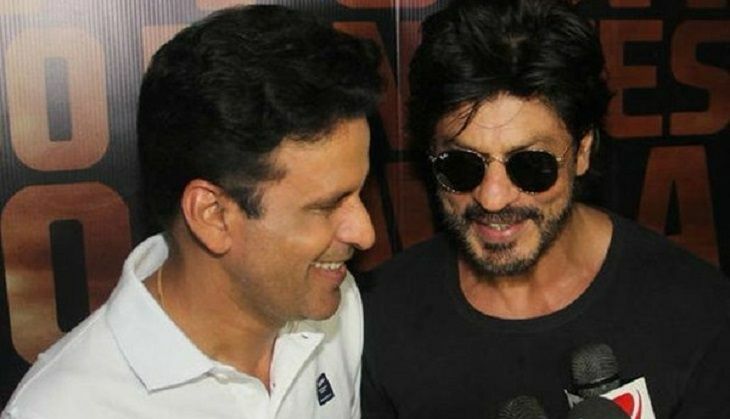 Shah Rukh Khan said that Manoj Bajpayee, is one of India's finest actors. "We have been working together since childhood in theatre and I have got to learn a lot from Manoj. We have done lot of 'masti'. I'm very proud of him. I'm not being patronising. He is one of the finest actors and I wish him all the best," he said. "Your last film Aligarh was superb, I couldn't call because I was busy. And this Traffic is even better," he told Manoj. Despite Shah Rukh being three years his senior, Manoj said: "You are younger", adding that the Fan star "keeps cracking jokes... all of us want to be young". Traffic releases on 6 May 2016.